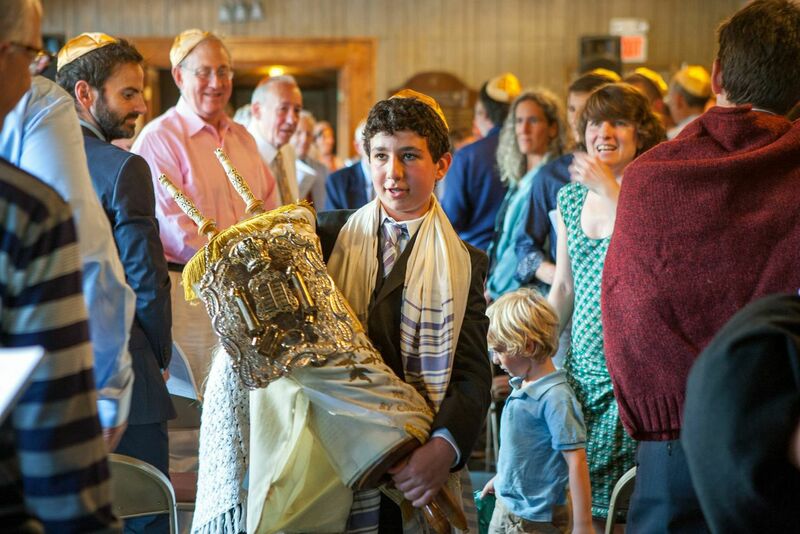 The Bar and Bat Mitzvah is an unforgettable day in a child’s life. 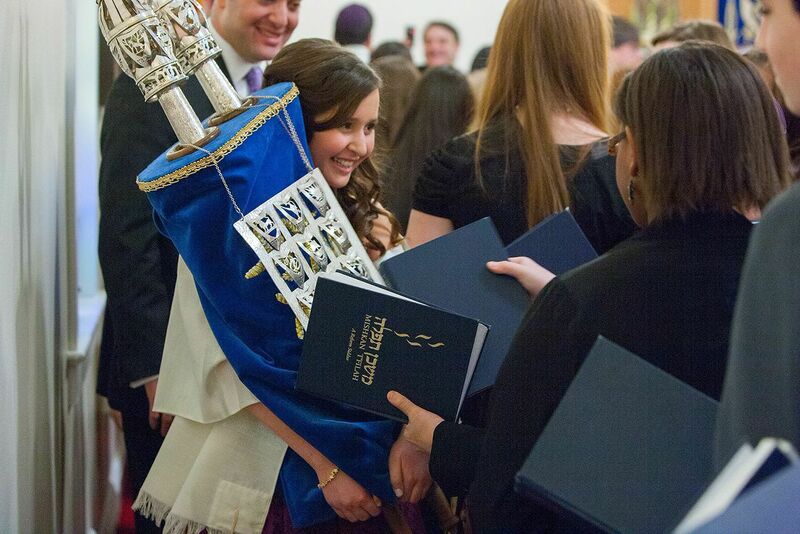 Once they have become a bar/bat mitzvah, they are officially an adult of the Jewish community. That can be a lot of stress for a 13 year old! Studying months in advance leading up to the big day, one couldn’t help to be nervous standing up in front of all those people. One of my favorite parts of the ceremony to photograph is the Hakafah, when the child carries the Torah around the synagogue in procession. While the child is carrying the Torah, it becomes a break in the service for them to catch their breath and relax. The smiles and surroundings of their loved ones brings ease to them, leaving them recharged and less stressed for the latter half of the service. As the photographer, the service can be challenging. I am usually not allowed to photograph inside the ceremony, and when I do it’s with available lighting, which most of the time is poor. When this moment of the service comes, I get three or four frames to catch it and then it’s gone forever. This is one of the more memorable pictures for the family that I love to capture. Darren and Gavin, such cool brothers. It was nice to see all the love on Darren’s special day. Everyone had a great time, including myself.